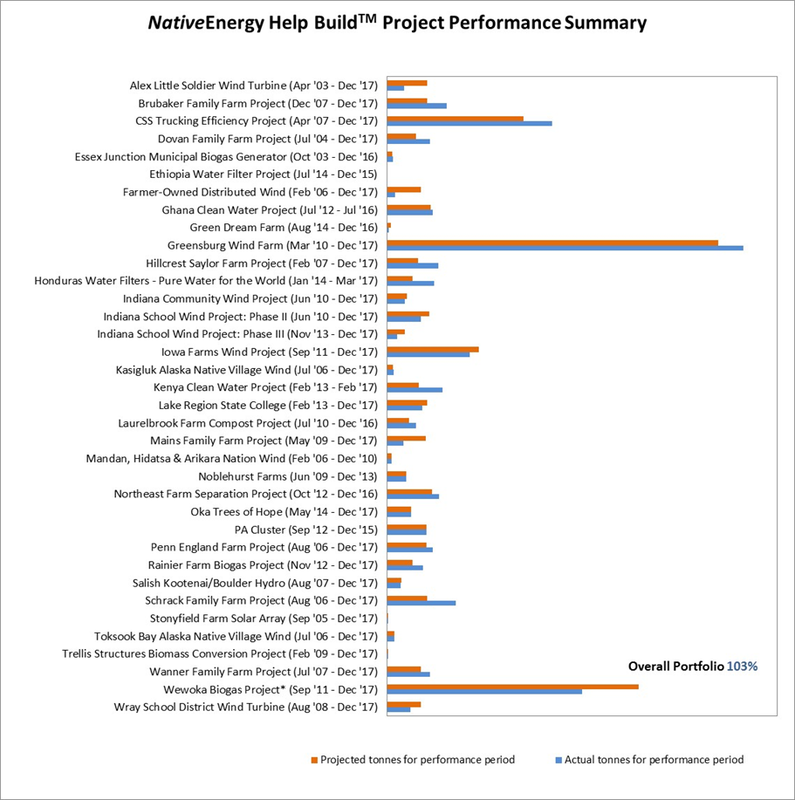 We are proud to report that the long-term performance of our Help Build™ carbon project portfolio continues to be above projected GHG remissions reductions. That means our projects have, to date, offset more CO2 emissions than the amount our customers contracted for. Several projects, like the Greensburg Wind Farm, continue to perform better than expected. Several others project that experienced operational issues early in their lives are now running at expected levels. We calculate each project’s production according to the methods established by internationally recognized carbon standards, including the Verified Carbon Standard and Climate Action Reserve. All NativeEnergy carbon projects that you can help build receive third party validation as meeting the requirements of the carbon standard. All carbon offsets are verified by an expert independent third party following their generation over time.